this old wooden box was another gift from my father. 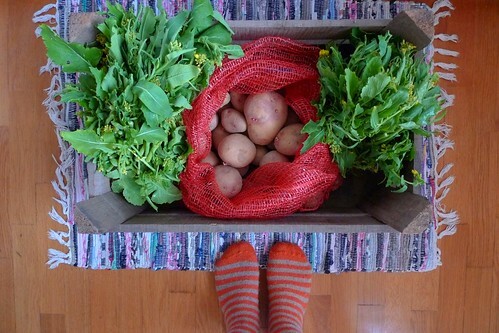 Bring potatoes and sprouts produced by him. I' m very lucky!